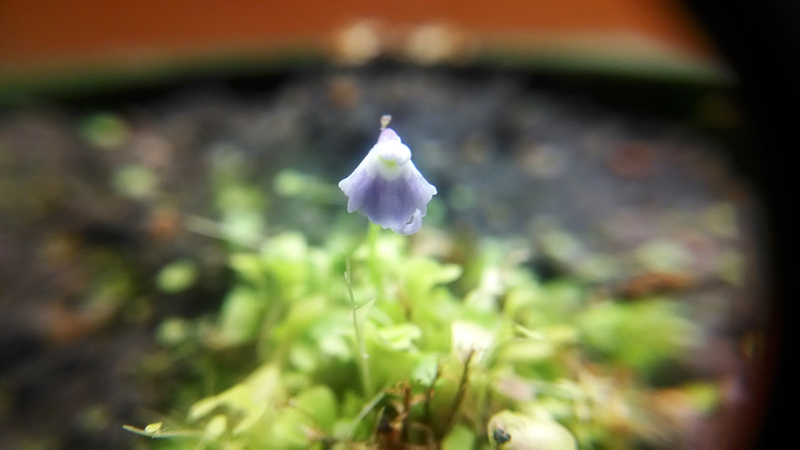 Utricularia sandersonii "blue" flower |Sundews Etc. It looks like my U. sandersonii from Natch Greyes beat out my U. livida for the privilege of bearing my first (proper) terrestrial Utric flower. I had to take the pot out of its glass bowl for this shot. Such a tiny flower. 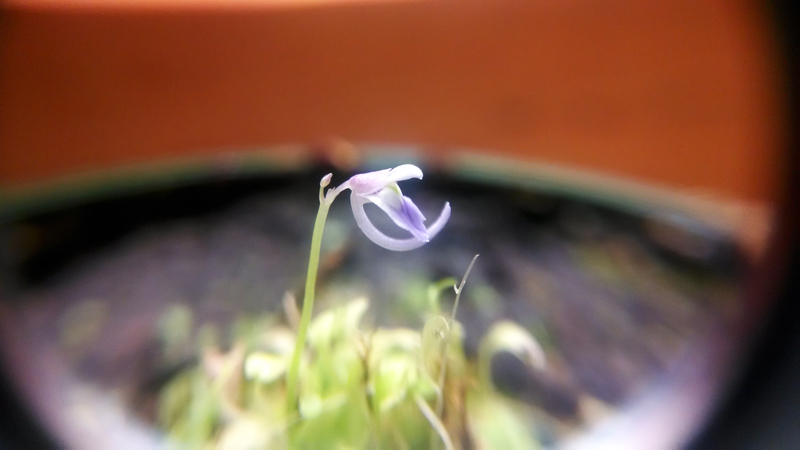 It's a tiny little flower, but is super cute up close. This flower is looking bashful for its beauty shot. 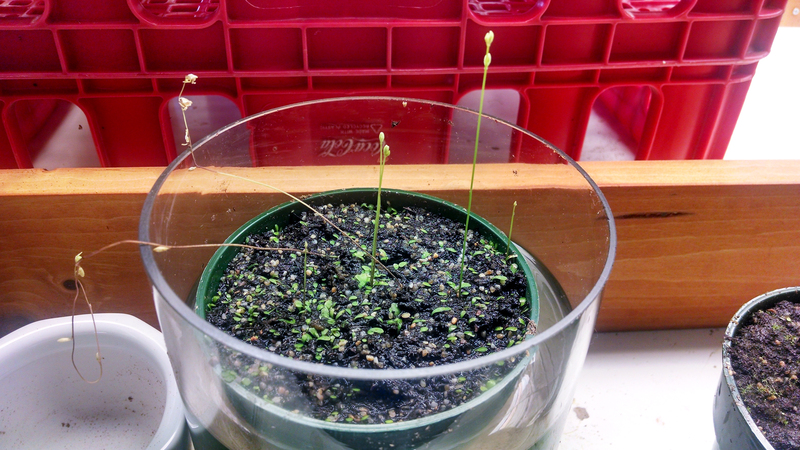 As you can see, it's not quite mature yet – the distinctive "bunny ears" on top haven't unfolded yet. Check out that awesome spur! It does have this great spur though. Utrics really do have elaborate, orchid-like flowers, just in miniature! At least the terrestrials are miniature. Just a couple weeks behind, but my U. livida is getting ready for what looks like the first of (hopefully) many mass flowerings. I'm expecting a big show of blooms any time now. 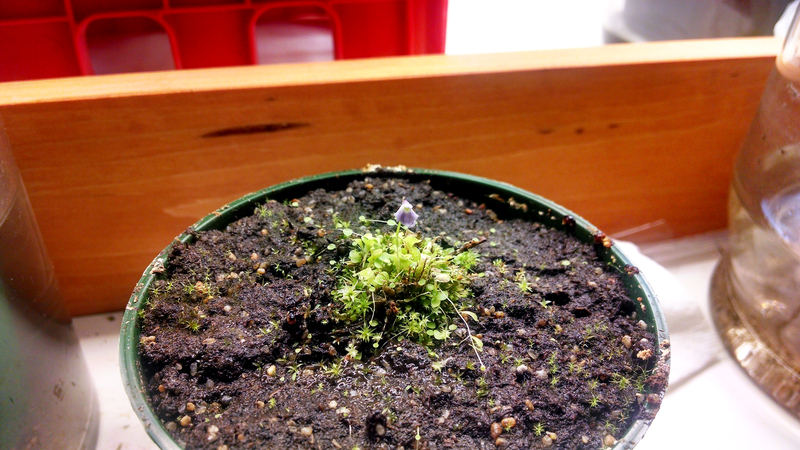 I'm really excited for the flowers to start popping open – so far I count 6 scapes. Gonna be really cute! 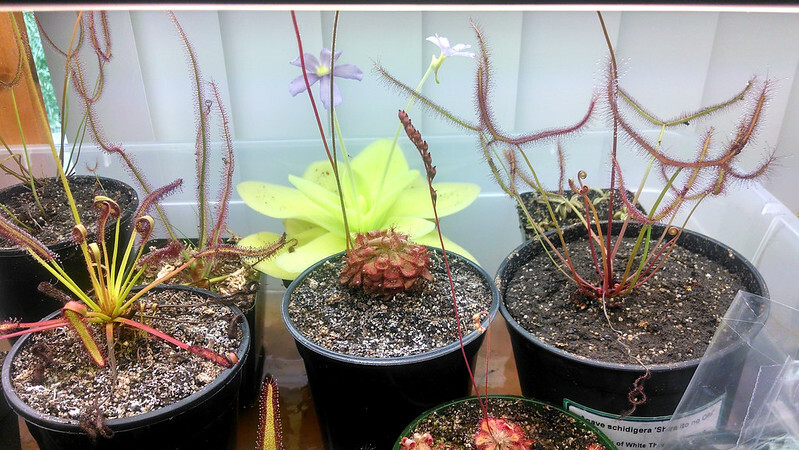 My Drosera 'Marston Dragon' is also blooming rather impressively. I like how this plant supports multiple blooms at once. It's too bad that the buds are all right at the height of the lights, so I don't get to see them as often as I like. It's still quite cute. The second flower has also opened on my Pinguicula gigantea. 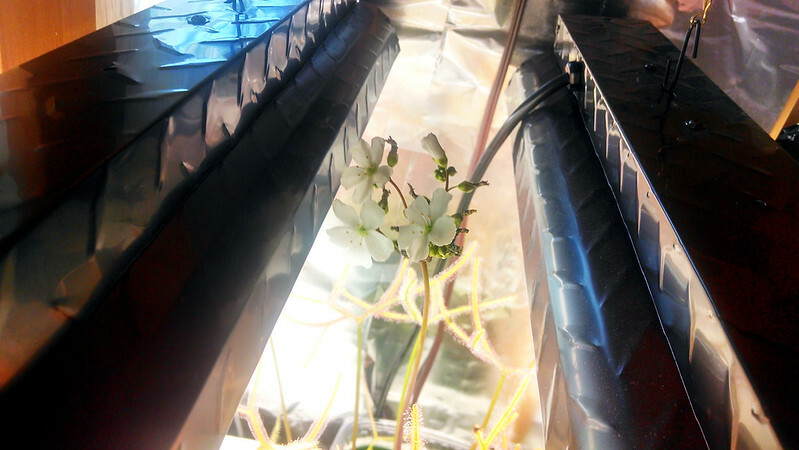 The Ping flower stalks flex up and down over the course of the day. I wish I could film it. Pretty sure these are the cheeriest blooms in my whole collection. I believe one can self-pollinate P. gigantea, and if so I should get on that. This is such a cute little butterwort. I'll keep the blog updated with any new Utric flowers. Thanks Natch! That's definitely the blue form. I grow them about 18 inches under my T8 bulbs and every couple weeks I fill the water up almost to the top of the pots. I think they like being waterlogged occasionally. The flower looks even cuter now with its "ears" up btw.